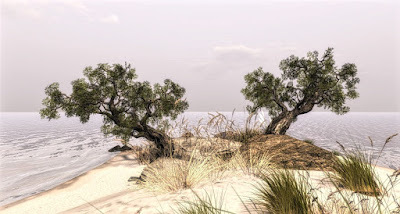 Elvira Kytori is one of Second Life's most creative and talented environmental designers. 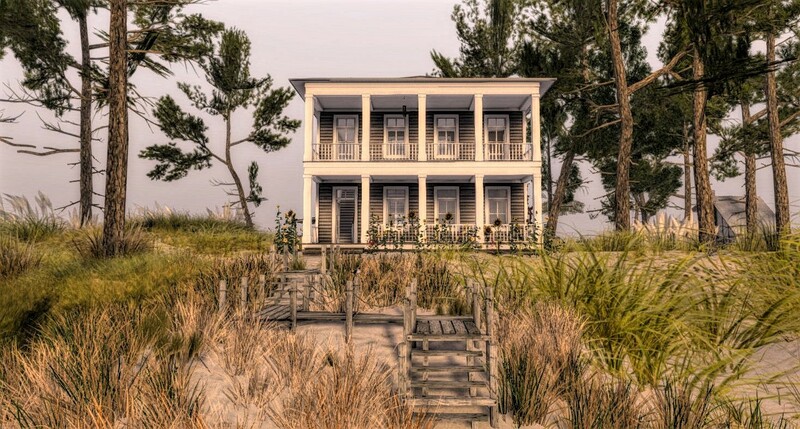 Her projects always have a pleasing realism and design spontaneity that set them apart. Elvira's new residential project, White Dunes Estates on Tranquility Dreams Island has uniquely designed beachfront homes available for public rental. 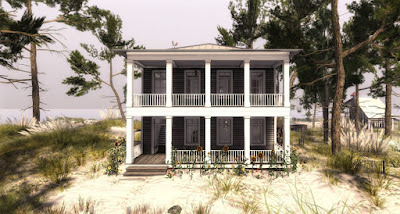 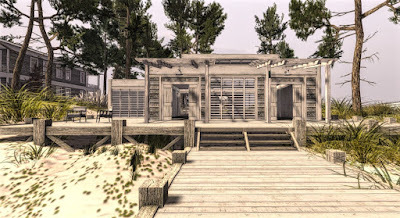 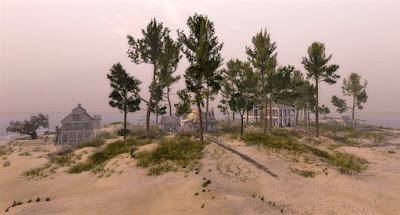 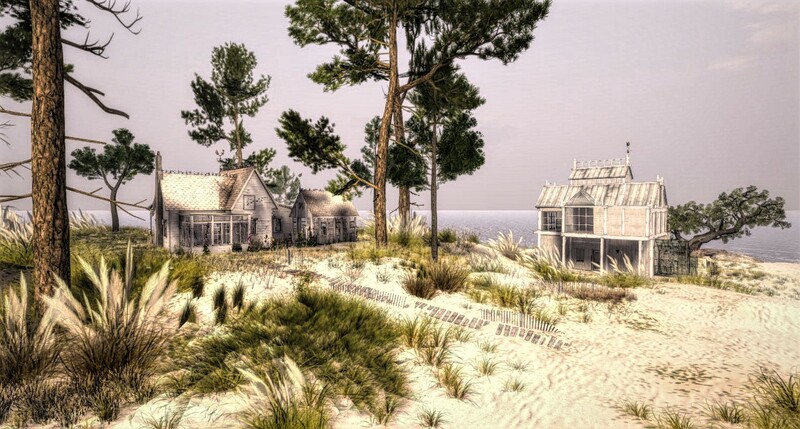 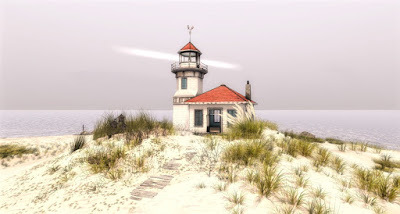 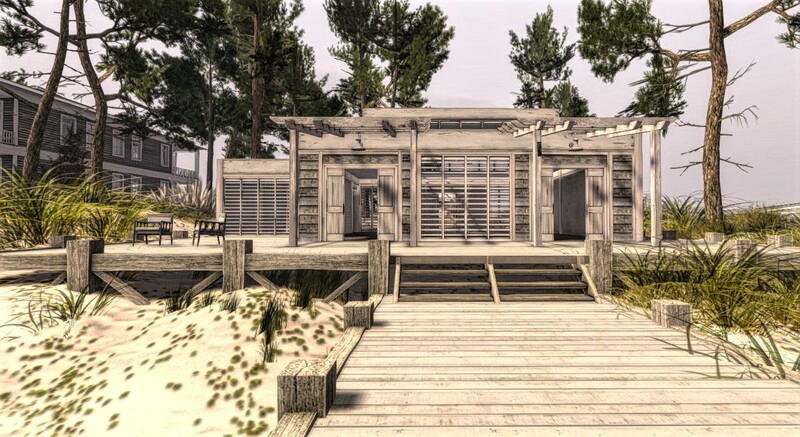 Elvira writes that her inspiration for Tranquility Dreams is Kylie Jaxxon's Trace Too, a classic Second Life destination which changes with the seasons and which I most recently reviewed in early summer. The attractive beachscape here reminds me of sandy barrier islands- including the famous Hamptons resort areas on New York's Eastern Long Island. 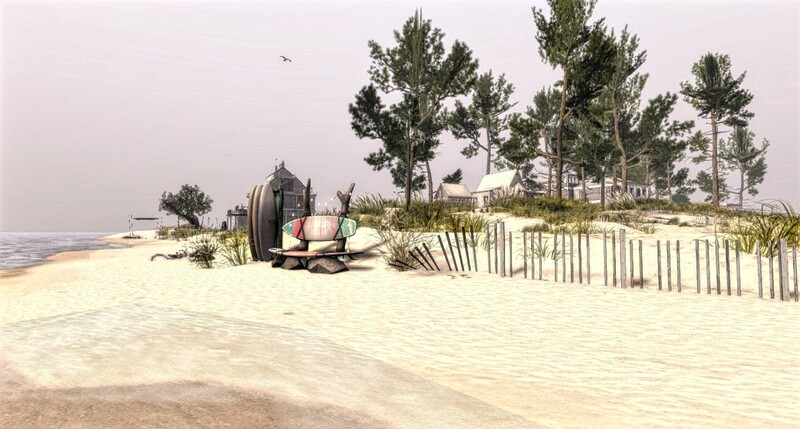 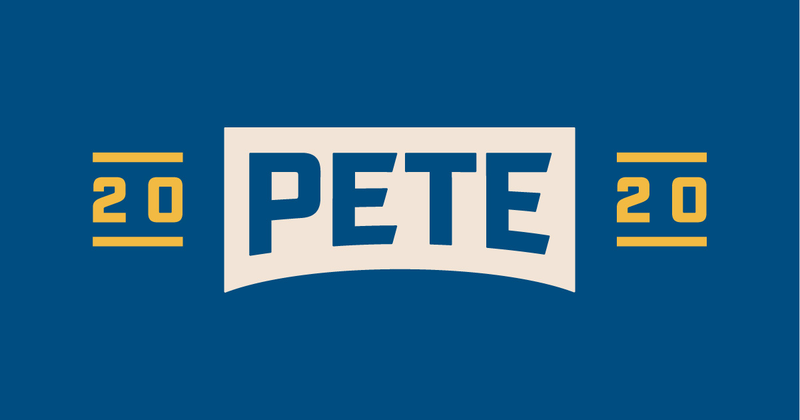 You are welcome to explore the beaches and public areas here. When visiting, please do not enter private homes -- unless the homes are available for rental and open for inspection per the easel information signs in front of each. 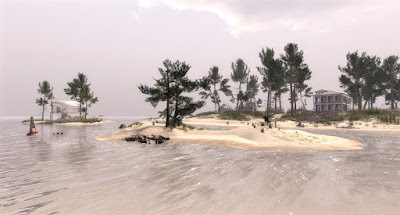 I used the soft grey Windlight Sky Setting already programmed at the region in these images.